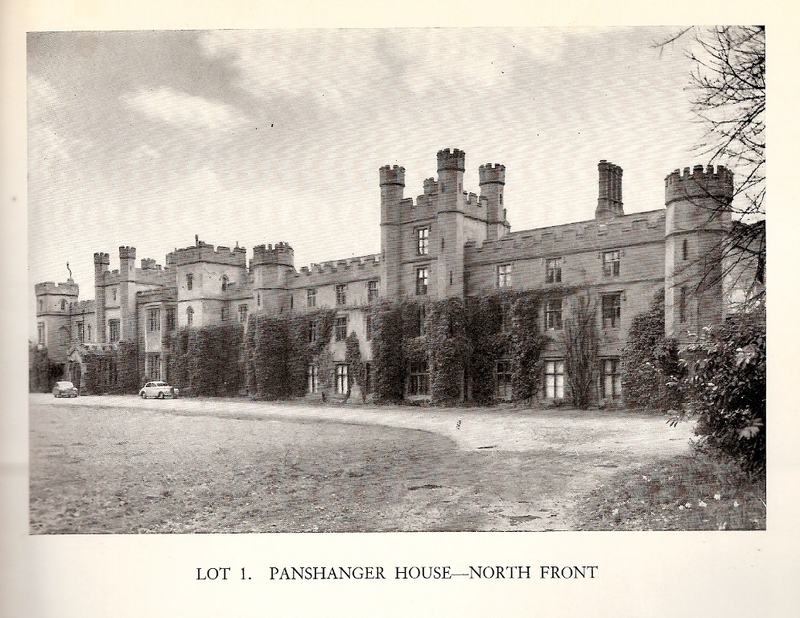 Historic Panshanger House was the ancestral home of the Cowper family, you can read a lot more about their chronology on our ‘Potted History’ section on the History menu above. The big house was of course the centre piece of the park and a very significant building. The below description of the house is taken from English Heritage and can be read in full here. 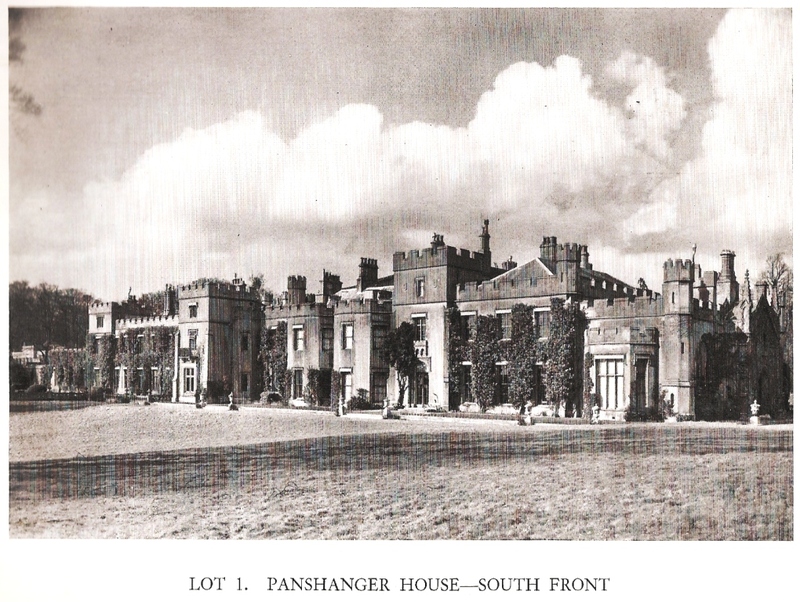 “PRINCIPAL BUILDING Panshanger House (William Atkinson 1806-11, demolished 1953-4) was built on the site of an earlier dwelling and stood in the northern half of the park, at the edge of the north plateau, overlooking the broad River Mimram valley below to the south. It was of two storeys, built in Romantic Gothick style with crenellated parapets, turrets, and several squat towers breaking up the facades (CL). The entrance front lay on the north side, overlooking a level lawn planted with scattered trees, whilst the south, garden front overlooked a broad, open sweep of parkland leading down to Repton’s Broad Water in the Mimram valley, with distant views to countryside beyond the park to the south (OS). Almost nothing of the house survives except possibly the foundations, and the site is overgrown (1999). The brick-built stables (c 1856, now converted to office accommodation, listed grade II) stand north of the site of the house, surrounding a square stable yard on three sides, the fourth, south side being closed by a brick wall with a central gateway. Adjacent to the north lies a farmyard, with brick yard walls, stock pens and outbuildings.